Today’s post is a contribution to Blog Action Day 2008: Poverty (thanks to author Rowena Cherry for the link). As the story begins, Linnea’s world Santandru faces the threat of being cut off from the rest of humanity, effectively eliminating any new supplies. If this were to happen, existing machinery would fall into disrepair, and the citizens of Sandandru would be unable to harvest enough food. Even basic sustenance, already in short supply on a planet with meager resources to begin with, would dwindle to nothing, ensuring the demise of the entire population. Matters are even grimmer given that the planet’s citizens are already on the run and have nowhere else to hide. And once the medical resources are depleted, what then? Deaths from untreated illnesses and injuries would follow, and crime rates would soar as many choose to steal and hoard whatever remains. Mental illness would also rise rampantly, and who can effectively problem solve while experiencing malnutrition, starvation, and debilitating levels of depression, anxiety, and anger? 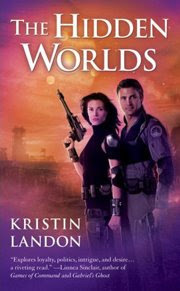 Though Linnea accepts a world of burden upon her shoulders in the hopes that her act might save her home world, she is not the only one responsible for Santandru. Just as the powerful Pilot Masters have the means to help the Hidden Worlds survive, we who are privileged have a responsibility toward those less fortunate. Like the swift, sharp slash of a blade, poverty cuts one off from friends, family, neighbors, and community. Swept up in our everyday concerns, we forget that places like Santandru exist all over the world. Before we know it, entire populations shift toward the brink of despair. Is poverty an overwhelming issue? Absolutely. Is it an insurmountable one? No way. Today, my dear passengers, I ask you to pledge one action, no matter how small or brief, toward overcoming poverty. Help me communicate to the Santandrus of the world that there are people who won’t tolerate cutting off anyone’s lifeline. Ever.